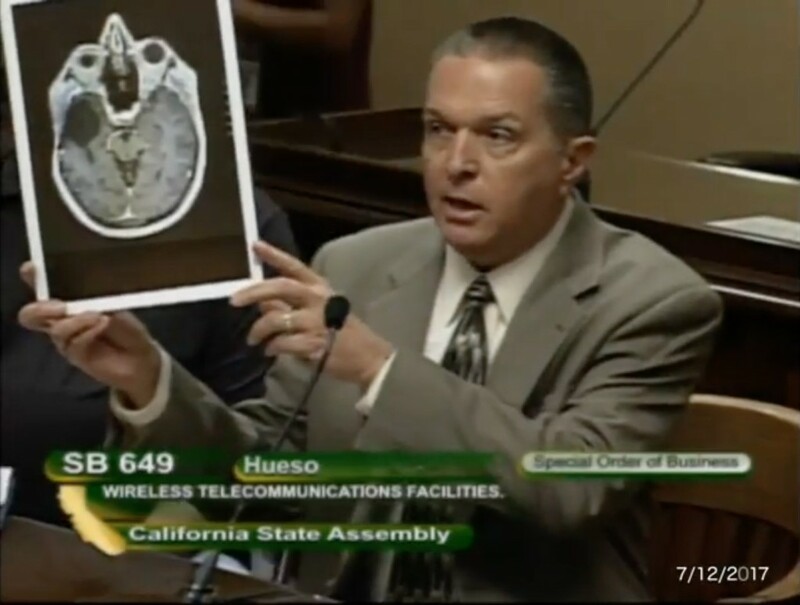 Various people come forward about their Brain Tumors from Cell Phones. Cellphone cancer victims tell their personal stories and those of their lost loved ones. Speakers include: Dr. Devra Davis – Epidemiologist, Founder – EnvironmentalHealthTrust.org; Bret Bocook – Attorney, cellphone cancer survivor – California; Cristin Prischman, cellphone cancer widow – Illinois; Craig Farver, father of cellphone cancer victim; Stuart Cobb, Cellphone cancer survivor – Maine; Mindy Brown, widow of cancer victim Coach Dan Brown; Ellen Marks, wife of cellphone cancer survivor Alan Marks. RIP Bret Bocook. Bret died in March 2015 of a brain tumor caused by his use of a CELL PHONE. Let’s help get his message out. In this video Bret talks about many Telecom companies taking out patents for cellphone/antenna designs to lower RF exposure … and how this equates to absolute FOREKNOWLEDGE. That foreknowledge will someday translate to CRIMINAL offenses when the lawyers figure out this is going to be the biggest class action extravaganza in history. I think that there will be a day in the near future when it is revealed in some way that ALL wireless manufacturers and distributors and federal governments knew and have known for years that the radiation from cell phones when commonly used pressed against the head, that they may cause BRAIN CANCER; that they WILL cause BRAIN CANCER in a portion of the users. This is the case of FOREKNOWLEDGE and I expect that this will be grounds for pressing CRIMINAL charges against the various companies and governments and the executives and technical staff and even the owners of property on which cell phone towers (masts) have been erected. There are so many entities that are complicit in this problem. When this dam of denial breaks then there will be many major class action suits launched and won. Lloyds of London has already served notice that they want none of this and have stopped insuring anything that is connected with RF radiation which includes CELL PHONES. They know what is coming. If the retail insurance companies also step out of the line of insurance payment then who will pay for the damage? The wireless companies will dig deep and pay and then declare bankruptcy. This is going to be a financial blood bath. Will the various government pass laws that will prevent any claims because thee will be too much economic turmoil. Maybe. They will do what they have to to keep the ship afloat. The biggest impact will be on the economy when ALL wi-fi and Cell phones will be now used a very limited way. It is going to be very interesting. No more free wi-fi in the coffee shops or schools or in the work place. No more cell towers built on hospitals and tall apartment buildings. No more seeing people walking down the street glued to their smart phone. Actually, I think that this may be viewed as a very positive step. And that will not be the end of the story. If cancers caused by Cell phone usage takes 10-20 years to be diagnosed then there will be a huge wave of cancers in 2025-2035 that will swamp the health providers and the various health plans. There are some important studies that predict this just like cancers from tobacco and asbestos. If you thought that the fight against tobacco and its link to cancer was long and tortuous then just watch this fight, which is going on right now, against Cell phones and other RF Radiation devices which are linked to cancer. A Maryland man filed an $800 million lawsuit against a cell phone maker and a telecommunications company, claiming years of using the wireless devices caused his brain cancer. Dr. Chris Newman, 41, of Jarrettsville, Md., brought the suit against Motorola Inc. and Verizon Communications on Tuesday in Baltimore City Circuit Court. The federal Food and Drug Administration has said there is no evidence that radiation from cellular telephones poses a health risk. However, the FDA has also said there is no proof that cell phones are risk-free. The malignant tumor was discovered in March 1998 behind Newman’s right ear. Newman’s attorney, Joanne Suder, said her client, a neurologist, used wireless phones at least several times a day between 1992 and 1998. “Because of the nature of his work he had to be in touch with patients on a minute-to-minute basis,” Suder said. The suit seeks $100 million in compensatory damages and $700 million in punitive damages. Concerns that cellular phones may cause cancer or other health problems have grown over the past few years. In June, the FDA announced a partnership with the phone industry under which about $1 million in studies on the issue would be conducted. A trade group for the wireless industry introduced a new policy last month requiring cell phone makers to disclose information on radiation levels produced by their phones. More than 90 million American now have cell phones, most of whom began using them in the past five years. Norman Sandler, a spokesman for Schaumburg, Ill.-based Motorola, said company officials had not seen the suit and could not comment. However, similar lawsuits over the past few years all have been withdrawn by the plaintiffs or dismissed by the courts, Sandler said. “We have maintained for years that such assertions are groundless,” Sandler said. have also been featured in the news when thier law suits were covered by the media. UNIDENTIFIED REPORTER: Can you recognize this as being the phone you used? SUZY REYNARD: Yes, I do. REPORTER: Is this the phone? 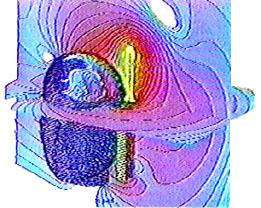 DAVID REYNARD: The tumor was exactly in the pattern of the antenna. ROSS: (Voiceover) David Reynard went on to almost singlehandedly create a national scare when he filed suit and went public with his allegations. REYNARD: (From “Larry King Live”) Well, we’re suing the carrier, we’re suing the manufacturer. ROSS: (Voiceover) There was great alarm on Wall Street, and even though Reynard’s lawsuit was later thrown out by a judge for a lack of reliable scientific evidence, it left the cell phone industry with a huge public relations problem. “MALAREK: And so Reynard launched a lawsuit against the cell-phone industry. Could cell phones really cause cancer? The U.S. media were all over the story after CNN’s Larry King Live gave him a national audience. LARRY KING (clip from show): Welcome back to Larry King Live. When did you start to think this has something to do with the cellular phone? 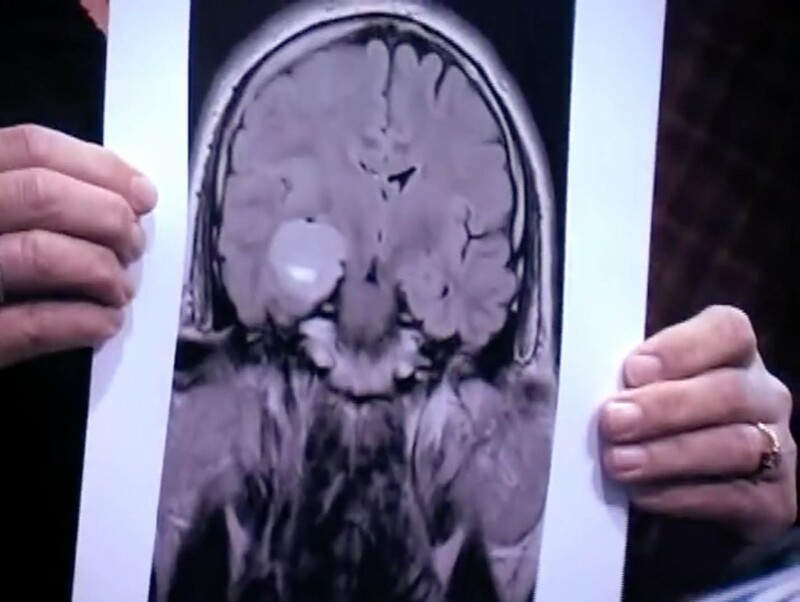 REYNARD: I think when I saw the first MRI and saw the location of the tumor…. MALAREK: You created quite a stir: front-page news, even stock market prices were affected. have been struck down by Brain Cancer. Two current primary kids under 11 and two former students, aged 14 and 21, have been diagnosed with tumours. 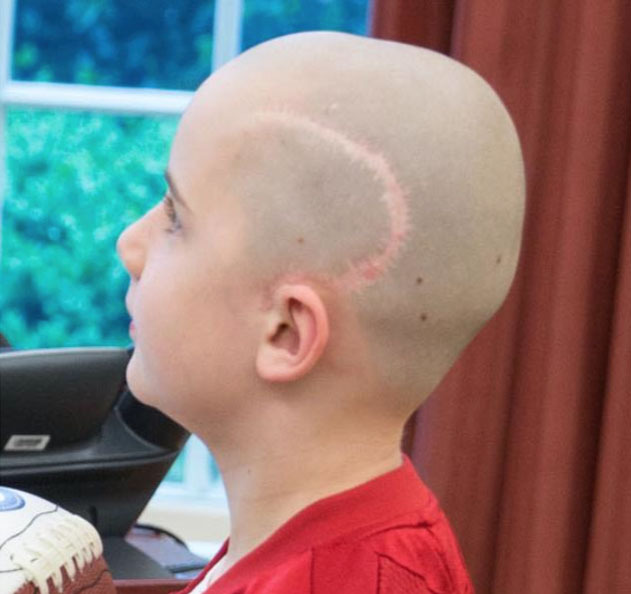 And a child from another school nearby has DIED from brain cancer. All are thought to be male. St Joseph’s Roman Catholic primary in Chalfont St Peter, Bucks, is ringed by the mobile masts. One stands just 750 metres from school grounds. Parents fear it could be Britain’s first example of a link between multiple cancer victims — a cluster — and mobile masts. The local Director of Public Health is now investigating. The boy who died, thought to be under 16, attended Thorpe House Independent School in Gerrards Cross. It shares a playing field with the Catholic school. Business manager Michael Pidding, 21 — a St Joseph’s old boy — has a grade two tumour. His mum Angie Richards, of Chalfont St Peter, said: “It is terminal. Miracles can happen and I’m praying for one. Vodafone, responsible for two masts south of St Joseph’s, quoted new findings saying it was “highly unlikely” the weak signals given off could affect health. However expert Leeds University Prof Patricia McKinney said: “It’s an unusual cluster. The Government is believed to have earned £22billion from selling mast licences. Earlier this week a global study showed using a mobile for more than ten years increases the risk of a brain tumour. A businessman battling a deadly brain tumour believes spending up to six hours a day on his mobile phone has given him cancer. 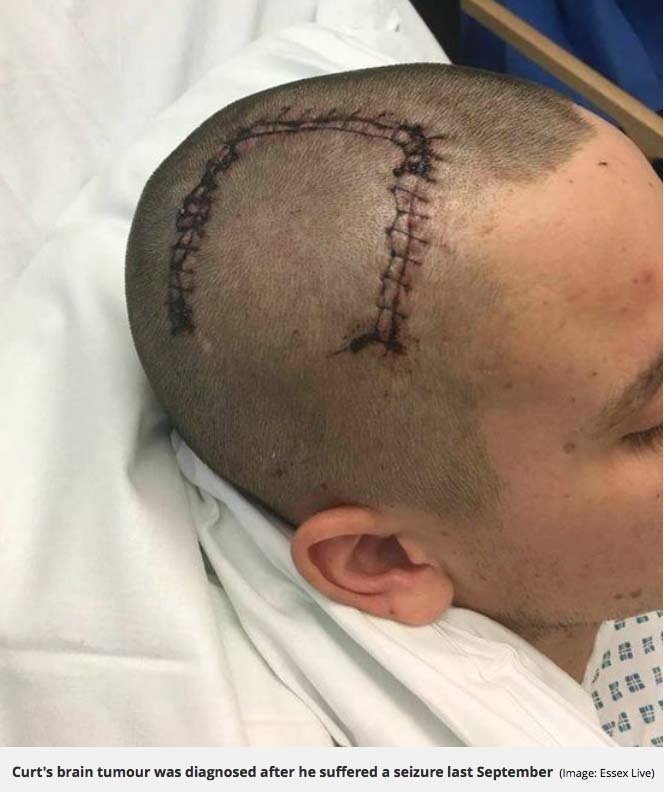 After going to hospital with a bad headache, Ian Phillips was given the devastating news he had a lemon-sized brain tumour – and has just three years to live. The 43-year-old claims his cancer was caused by excessive use of his mobile phone, as his job as an operations manager for a large firm required him to spend more than 100 hours a month making calls. As well as undergoing chemotherapy and radiotherapy treatment in a bid to beat the cancer, he is receiving alternative medicine, has changed his diet, and regularly exercises. He has also launched a campaign to make others aware of the risks of using mobile phones, which he says are particularly dangerous for children. Mr Phillips, a former rugby player, said: ‘I spent my working life on my mobile. I would have two -hour conference calls some days. Mr Phillips, head of healthcare diagnostic imaging for a large global firm, was hit by a sudden blinding headache and drove himself to A&E in the middle of the night. He was given a brain scan on an MRI machine which he had installed himself just two weeks earlier at the University Hospital of Wales, Cardiff. 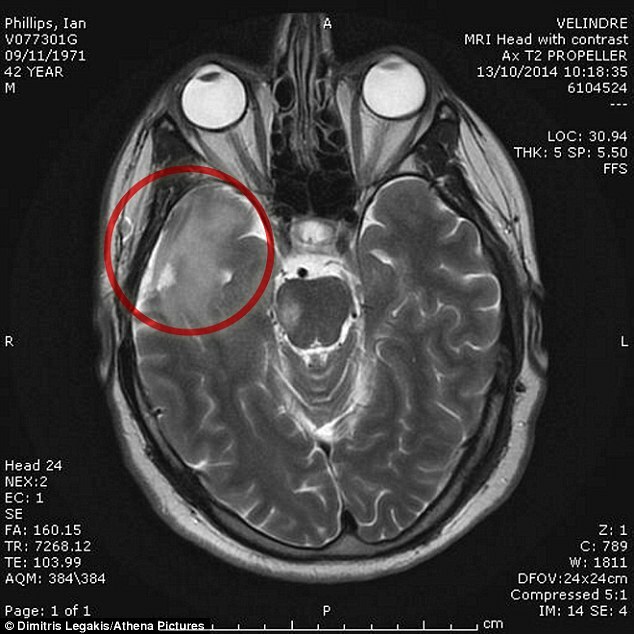 The scan revealed a Grade 3 brain tumour the size of a lemon and Mr Phillips underwent a nine-hour emergency operation to remove most of it. But he was given the horrific news that the brain cancer could not be cured and was advised to make the most of the little time he had left. 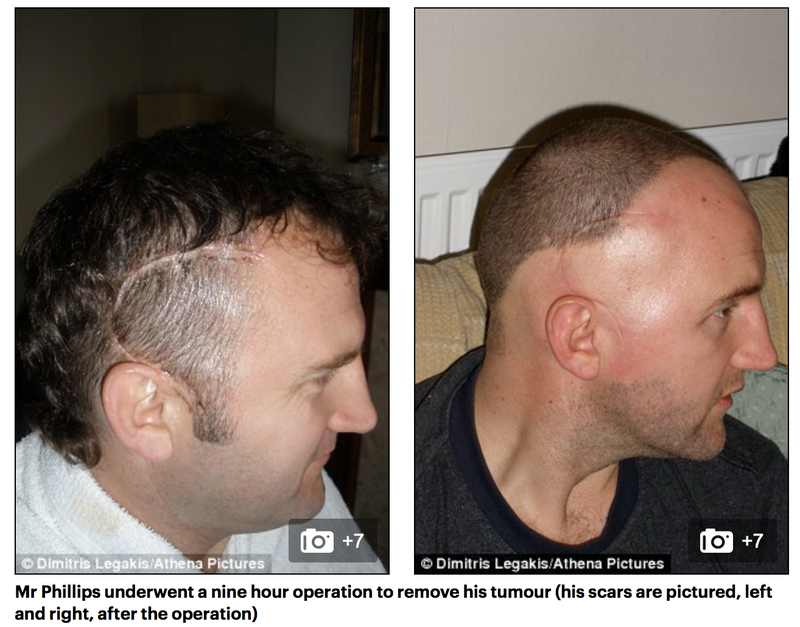 Mr Phillips said: ‘I was devastated – the first thing I asked the doctors was what had caused it. 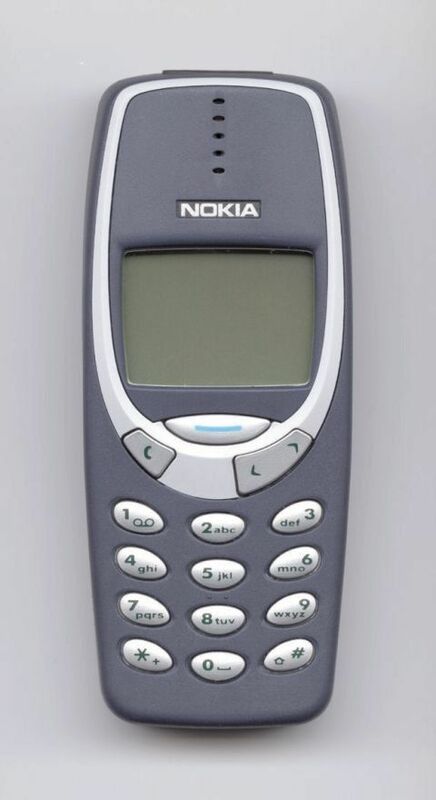 ‘But I knew right from the start that it was due to my excessive use of my mobile – I was on it all the time. ‘I have spent a lot of time since researching this and the number of brain tumours is going up. Mr Phillips has now invested in a shiny gold hand receiver which he plugs into his mobile to make and receive calls, meaning he doesn’t have to hold the phone to his ear. He said: ‘I bought a gold one to draw attention to the potential dangers of mobiles. ‘Strangers ask me why I use a hand held receiver and I tell them they would too if they had been diagnosed with a brain tumour. ‘I tell people that I am convinced my cancer was caused by using my mobile up to six hours a day. Mr Phillips estimates he was talking for more than 100 hours a month on his Blackberry – because of his high-pressure job. He said: ‘I was a successful rugby player, extremely fit and I never got ill – not even with a cold. But now I have this. Mr Phillips, of Cardiff, hopes to beat the cancer with a combination of chemotherapy, radiotherapy alternative medicine, diet and ‘sheer bloody mindedness’. He said: ‘They gave me three years to live but I will prove them wrong time and again. ‘The tumour has shrunk to nothing once but it’s back now and I’m having chemo again. Mr Phillips has been forced to quit his £110,000 a year job because of his illness. The former Caerphilly RFC second row forward now spends his time with his girlfriend and his parents Norman and Lesley, mainly watching rugby and visiting the gym four times a week. He has launched a campaign to highlight the dangers of mobile phones, convinced he can inform others of the risks. He has persuaded Welsh rugby stars Rhys Priestland and Jonathan Davies to shave their heads for the Brains Trust charity he supports. He said: ‘I will beat my tumour but in the meantime I need to get the message across that mobile phones can be dangerous. Another study followed more than 420,000 users over a 20-year period. It found no direct link between mobile phones and brain tumours. And another piece of research did note a link between mobile phone use and cancer of the salivary glands, but only a small number of study participants had cancerous tumours. Meanwhile another recent study suggested a possible increased risk of glioma – a specific type of brain tumour – for those using their mobiles a lot. But researchers found no increase in brain tumour risk overall. In 2012 the Italy’s Supreme Court found there was a ‘causal link’ between phone use and a businessman’s brain tumour diagnosis. Innocente Marcolini, 60, had used his mobile phone for up to six hours a day for 12 years. Oncologist and professor of environmental mutagenesis Angelo Gino Levis and neurosurgeon Dr Giuseppe Grasso gave evidence supporting Mr Marcolini’s claim. They argued that mobile and cordless phones emit electromagnetic radiation causing damage to cells and increasing the risk of tumours. But they added that many tumours don’t appear for 15 years, making short-term studies on mobile phone use redundant. Experts at the Mayo Clinic in the US note that after evaluating the evidence, members of the International Agency for Research on Cancer – part of the World Health Organisation – agreed there is limited evidence that mobile phone radiation triggers cancer. But, they warn, a series of studies cannot tell the full story, and only time will tell. As with smoking and tobacco, the experts say it may take many years for a direct link to emerge. Consultant in medical oncology at Mayo Clinic, Timothy Moynihan, notes: ‘At this point, it’s possible that too little time has passed to detect an increase in cancer rates directly attributable to cellphone use. They advise if people are concerned that they limit their phone use, or use a speaker or hands-free device. Meanwhile Professor David Coggon, professor of occupational and environmental medicine at the University of Southampton added: ‘Overall, the balance of evidence from what is now a substantial body of epidemiological and toxicological research suggests that mobile phones do not cause brain tumours or any other sort of cancer. The age-adjusted incidence rate for meningioma, the most common non-malignant brain tumor, increased from about 6.3 per 100,000 in 2004 to about 7.8 per 100,000 in 2009 before leveling off (through 2011).The annual percentage increase between 2004 and 2009 was 2.4% per year. The annual increase was significant for males and females, whites and blacks, and non-Hispanics. Although the incidence of these tumors increased for all age groups except 0-19, the increase was statistically significant only for 45-54 years of age and 65 and older. AbstractBACKGROUND: The current analysis follows the implementation of Public Law 107-260, the Benign Brain Tumor Cancer Registries Amendment Act, which mandated the collection of nonmalignant brain tumors.METHODS: Meningiomas were selected from the Surveillance, Epidemiology, and End Results (SEER) Program database for the years 2004 to 2011. Demographic and clinical characteristics, initial treatment patterns, and survival outcomes were evaluated using surveillance epidemiology statistical methods.RESULTS: The average annual age-adjusted incidence rate per 100,000 population was 7.62 (95 % confidence interval [CI], 7.55-7.68) for all meningiomas, 7.18 (95% CI, 7.12-7.25) for benign meningiomas, 0.32 (95% CI, 0.31-0.33) for borderline malignant meningiomas, and 0.12 (95% CI, 0.11-0.12) for malignant meningiomas. The annual rates increased for benign and borderline malignant tumors but decreased for malignant tumors. The rates for women exceeded those for men, especially for those with benign meningiomas. Black race was associated with significantly higher rates as was advancing age. Greater than 80% of tumors were located in cerebral meninges. Diagnostic confirmation through pathology occurred for approximately 50% of benign tumors, 90% of borderline malignant tumors, and 80% of malignant tumors. No initial treatment was reported for greater than 60% of benign tumors, 29% of borderline malignant tumors, or 31% of malignant tumors. The 5-year relative survival estimates for benign tumors, borderline malignant tumors, and malignant tumors were 85.6% (95% confidence interval [CI], 85%-86.2%), 82.3% (95% CI, 79.3%-84.8%), and 66% (95% CI, 60.6%-70.9%), respectively. Predictors of poorer survival were advanced age, being male gender, black race, no initial treatment, and malignant tumor behavior.CONCLUSIONS: The current analysis demonstrates that there is an increasing incidence. The latest analysis,2, 3 published online ahead of print in October, was performed by Dr. Lennart Hardell, a professor of oncology at University of Örebro in Sweden, and statistician Michael Carlberg from the same University. radiation as children’s skulls are thinner. After many years of debate over the health hazards posed by mobile phones, a recent report finally establishes it. The exhaustive report has been submitted recently to the Department of Telecom by Prof Girish Kumar of IIT-Bombay’s department of electrical engineering. Kumar, who has done extensive research on cell phone radiation and its effects warns against excessive use of cell phones as they put users, to increased risk of cancer, brain tumour and many other health hazards. More so in case of children. minutes per day for 10 years increases the risk of brain cancer and acoustic neuroma. count in intensive users of mobile phones. formation’ inside the body’s cells; the free radicals are known to be carcinogenic. pace-makers, and may, therefore, cause sudden death. stimulate allergic\inflammatory responses, including rashes, sores, biting sensations and lesions. inner ear. Once damaged, these cells can never regenerate. (900, 1800 MHz and 2450 MHz) damage epithelial cells and increase the temperature within the eye. return to their hives and nests. It has adverse effects on animals, plants and the environment. Samantha Miller, a 17 year old who studied hairdressing and beauty therapy at a college in Street, near Glastonbury, Somerset, bought her mobile handset two years before she was diagnosed with a deadly brain tumor that led to her demise. Samantha, who was addicted to her phone, used to spend hundreds of pounds on ‘top-up’ cards every month, to keep in touch with her friends. Her parents, Janet, 39, and Phil, 58, are certain that the excess use of her mobile phone created the tumour that eventually killed her. Samantha started complaining of headaches, ringing in the ears and a numb face almost a year after she got her phone. In January 2001 she was assigned to Yeovil hospital where her doctors discovered a highly malignant and ripe tumour in her brain. The specialist had asked Mrs Miller and her husband, if Samantha had a mobile phone. After one and a half years of battling with the disease she died. The family, including Samantha’s two brothers Simon, 19 and Gary, 12, and sisters Jenny, 15, and Mariah, 8, have withdrawn from their cell phones. 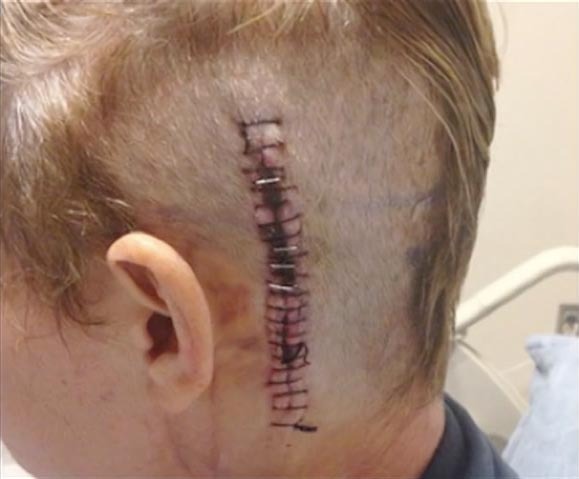 “The phone had an antenna and where she held it to her head was where the tumour appeared. Holding a phone so close to your ear means all the radiation is going straight into the brain. There needs to be more research – everyone has a mobile phone these days and I don’t want anyone else to die as a result.” Mrs. Miller says. Research by Dr Alan Preece at Bristol University has aided the claims of those who believe that mobile phone radiation is dangerous. A study of volunteers showed the emissions warm up the brain and alter reaction times. In another study, Dr Preece used squid to argue that human brains can be changed by electrical impulses. The squid changed colour when revealed to cell phones, violently flashing through the spectrum. They also showed slower reaction times. A 17-year-old cheerleader who ‘always had a smile on her face’ has died from an inoperable brain tumor – one year after she was given the devastating diagnosis. Nina Poeta, a senior at Seymour High School in Connecticut, went to the doctors in November 2013 after suffering severe headaches while performing her routines. She was referred for an MRI scan at Yale New Haven Hospital, during which medics discovered a cancerous mass on her brain. Because of the tumor’s location, it could not be surgically removed. For the following year, Miss Poeta, also a gymnast, underwent dozens of rounds of radiation while incredibly keeping up her cheerleading career at the school in Botsford Road, Seymour. On a Facebook page set up to track the teenager’s progress, dubbed ‘Poeta Strong’, a close family friend wrote: ‘It is with broken hearts that we share the news of Nina’s passing. ‘Nina was at home surrounded by her mom and dad and her sister, Cara. It was a calm and peaceful moment at 11pm on November 1st, All Saints’ Day. During Miss Poeta’s illness, an online fundraiser was started to help her family pay for her medical bills. Donors from both her town and further afield helped to raise more than $40,000 in total. Jim Freund, principal of Seymour High School, said the entire community had come together in an ‘impressive’ attempt to support Miss Poeta, who ‘fought strong through her battle with cancer’. 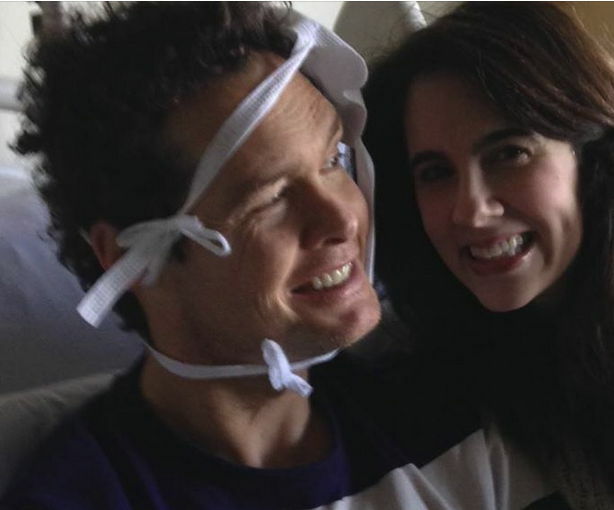 But despite donors’ efforts, the teenager’s illness eventually took its toll. She became confined to a wheelchair and lost the ability speak shortly before hear death last Saturday night. In late October, Miss Poet’s family received a new handicapped accessible van, courtesy of Harte Family Motors. ‘I’m at a loss for words,’ Mr Poeta told the New Haven Register at the time. And in September, the Make-A-Wish Foundation of Connecticut, paid for the teenager, her mother and her sister to go on a nine-day trip to Italy. He added: ‘Back in November when she was diagnosed with this brain tumor she continued to come to school and participate in cheerleading. Mr Kearns said grief counselors are currently on hand at the school to help students and staff deal with the tragic loss of one of their own, according to Eyewitness News. On Monday, a colorful memorial, featuring balloons, photos flowers, was erected at the entrance of Seymour High School for students to pay their respects to Miss Poeta. Cheerleaders from the surrounding towns of Derby, Shelton and Oxford even visited the tribute to leave pom poms and bears. Miss Poeta’s funeral arrangements have not yet been disclosed. Primary brain tumours (originating in the brain) occur in 8 out of 100,000 people. This number rises to approximately 32 per 100,000 when metastatic tumours (cancer originating in other areas of the body that has spread to the brain) are included. A brain tumour is a growth of abnormal cells that are either within or around the structure of the brain. The most common type of primary malignant brain tumour is glioblastoma multiforme. Average survival, even with aggressive treatment, is less than one year. Metastatic brain tumours occur at some point in 20-40% of people with cancer. The incidence of metastatic brain tumours is increasing as cancer patients live longer. Brain tumours are the leading cause of solid cancer death in children under the age of 20, now surpassing acute lymphoblastic leukemia. They are the third leading cause of solid cancer death in young adults ages 20-39. Because brain tumours are located at the control centre for thought, emotion, and movement, they can dramatically affect an individual’s physical and cognitive abilities and quality of life. Brain tumours in children are different from those in adults and are often treated differently. Although as many as 60% of children with brain tumours will survive, they are often left with long-term side effects. Enhancing the quality of life for people with brain tumours requires access to quality specialty care, clinical trials, follow-up care and rehabilitative services. Currently, the Canadian medical system does not track statistics on primary brain tumours. Complete and accurate data is needed to facilitate the research that will lead to a better understanding of this disease and improved diagnosis and treatment. 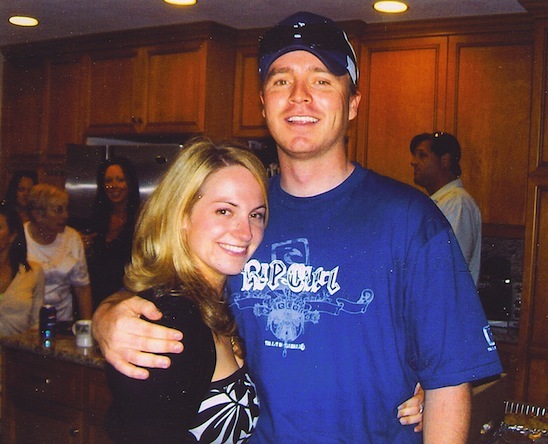 I lost my beautiful, 29-year-old son Rich to glioblastoma multiforme (GBM) brain cancer on October 11, 2008. Early in 2008, Rich was working as a teaching assistant in Political Science at San Diego State University (SDSU), where he had received his master’s degree. He was a very kind young man who would occasionally go golfing with the professors. He was in the process of applying for law school, but had confided to me, “I don’t know that I can make it through law school because I can’t remember things.” He was having headaches, memory problems, nosebleeds and excessive sweating and fatigue. I had been noticing that something was off with him. He needed to sleep all the time. There was a blood vessel coming from the right side of his head through his hairline and protruding across this forehead. His girlfriend Jennifer told me he would sleep for hours, curled up like a cat during the day by the patio window. This was not like him. At the time of Rich’s GBM diagnosis in March 2008, Dr. V. Tantuwaya from Poway, CA told us that his cell phone was the culprit. 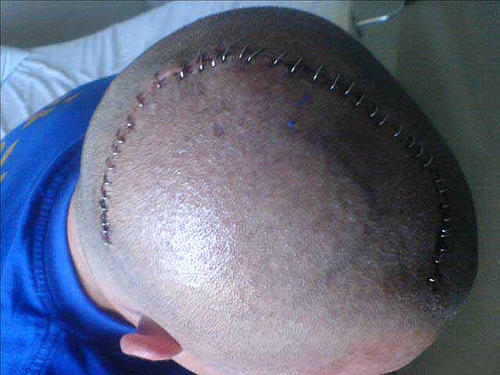 Rich’s tumor was located in his right frontal lobe and he was right-handed. This is referred to as an ipsilateral tumor, one on the same side as where the phone was held. Rich wanted to live. He had always been a good kid, never drank or did drugs. At 6’2”, he’d been on varsity basketball in high school, and was very healthy. So cancer was unthinkable. I told Rich I’d do anything to keep him alive. But after surgery, chemo and radiation, with nine MRIs, multiple hospitals and hospice, he died, seven months following diagnosis. I learned that similar brain cancers were happening to others on campus. An English teacher, Laurel Amtower, thanked SDSU colleagues for their support before she went through chemo and radiation. She died, too, leaving a 12-year-old daughter. She didn’t realize that some she thanked were probably partly responsible for her death. On August 7, 2009, nine months after Rich’s death, I found articles and a video about a “Brain Cancer Cluster on the San Diego State University Campus.” I read these (listed below) several times before ending up on the floor. I contacted the SDSU Administration, but was bounced around from one person to another. I then drove to San Diego and stayed the whole month of October 2009. I met off-campus with some professors mentioned in the articles. They told me they had asked for a toxicology study, as there is a huge cell tower right next to the building where Rich spent most of his time grading papers and doing research: Nasatir Hall. After I returned home, the SDSU Administration sent me an epidemiological report written by a Dr. Thomas Mack. In the third paragraph, Dr. Mack stated he has, “no known knowledge of any chemical or radiation concerns and therefore there are none.” That’s not a scientific conclusion, it’s a cover-up. I e-mailed Dr. Mack, and he called me at home! I asked him about this cell tower on top of the Communications Building. This rises over Nasatir Hall, where most of the brain cancer victims were located. Dr. Mack quickly denied the connection to the cancer cluster. I then told him of everyone’s concerns. He said, “They should be concerned.” This made me furious. It didn’t make any sense. And the SDSU Administration would not conduct a toxicology study because of Dr. Mack’s report! Like some professors, I have requested a study on several occasions, but have received no response. I then looked into the tower on my own. Owned by Sprint, it has HPWREN or High Performance Wireless Research and Educational Network on it, with a BackBone Node to the UC-SD Supercomputer Center. It also has a GWEN, or Ground Wave Emergency Network, with emissions known to hug the ground. These towers are capable of sending signals hundreds of miles, including to several remote laboratories across California. 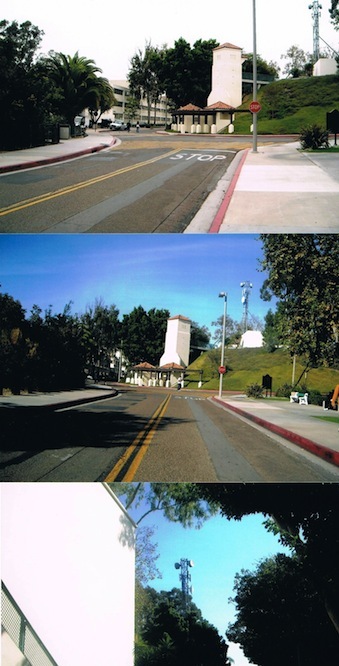 There is an additional tower on campus on the KPBS News Station. Similar towers are on many college campuses across the US, via the Lambda or Tera Grid, also called the ‘smart’ grid. Engineers are developing “smart”, or “AMI” meters, appliances and whatever else they can dream up to deploy microwave radiation everywhere. This grid is the “military-industrial complex” of which President Dwight Eisenhower warned US citizens of in his 1961 Farewell Speech. He warned of its grave consequences. I know of these consequences. After Laurel Amtower died of brain cancer on August 29, 2010, I contacted NBC in San Diego. At first, Producer Paul Krueger was interested in doing another story. After I gave him this new information, SILENCE. I then contacted the San Diego Tribune. A reporter called me at home. He told me that this story would NEVER get out in San Diego. I asked, “Why?” He said, “Because of money.” I also contacted the CA Governor’s office and area Representative Marti Emerald. Both referred me back to SDSU. For a month in October 2011, I stood hours each day outside the campus cafeteria, where the kids would congregate and walk to get to their classes. I had about 15 signs taped up against the wall. One said, “Will you be the next victim?” Others said, “Read your cell phone manuals. They say not to hold the phone to your head. Don’t keep it in your pocket. It will do genetic damage.” Others warned about wi-fi and more. They looked frightened, but they would still grab their cell phones. They would text while walking and ignore everything around them. Some would take pictures, or would peek out of the side of their eyes. A few talked with me. While there, I walked to Nasatir Hall. Kids were sitting all around. The leaves were dying on the trees. Measurements on an RF meter were beyond the range of the meter. Some kids were high up on outdoor balconies at their dorms, near the levels of the massive discs and antennas on the towers. When I went directly to Room 131, where Rich and others who died of cancer had worked, I found it all closed up. A policeman asked me what I was doing there. I told him about my son. He asked me about the towers and told me he has two young children. 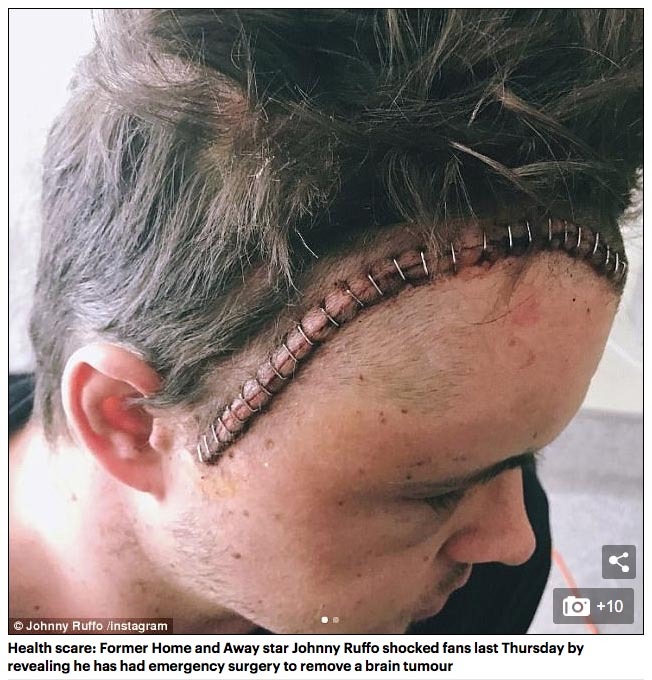 A salesman who said he was ‘glued’ to his phone in the 90s is suing Nokia after developing a golf ball-sized brain tumour which left him deaf in one ear. Neil Whitfield, 60, is thought to be the first to sue a mobile phone company in this way in Britain. 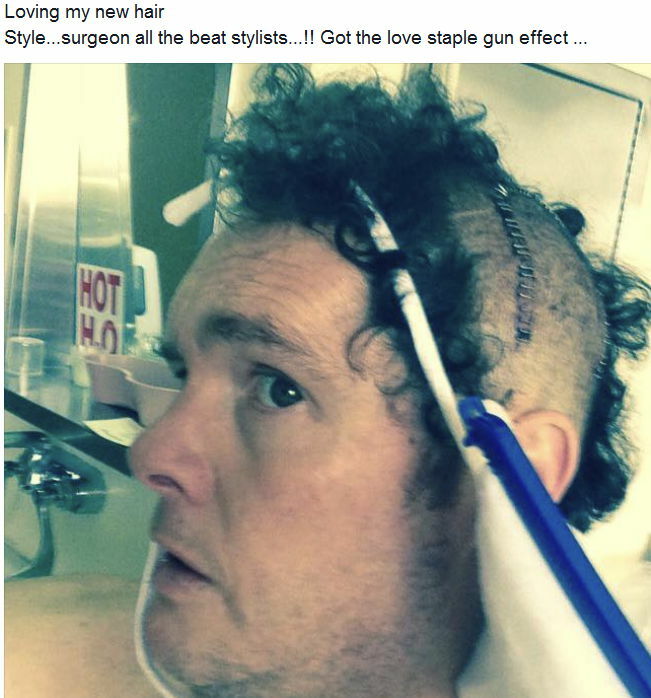 He claims that long periods using a phone for work caused the acoustic neuroma tumour, which was removed in an operation in 2001, leaving him partially deaf. Whitfield is suing for loss of earnings, after he lost his job as a salesman when he refused to use mobile phones. 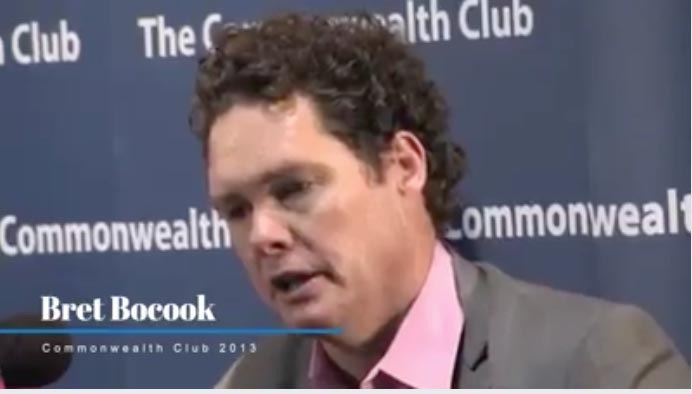 Whitfield told the Sunday Mirror, ‘I have no doubt my tumour was caused by mobile phones. and became a college lecturer, and is suing over lost income and reduced pension payments. Earlier this month, a controversial new study stoked fears that mobile phone use may be linked to brain cancer, as rates of a malignant brain tumour have doubled in two decades. 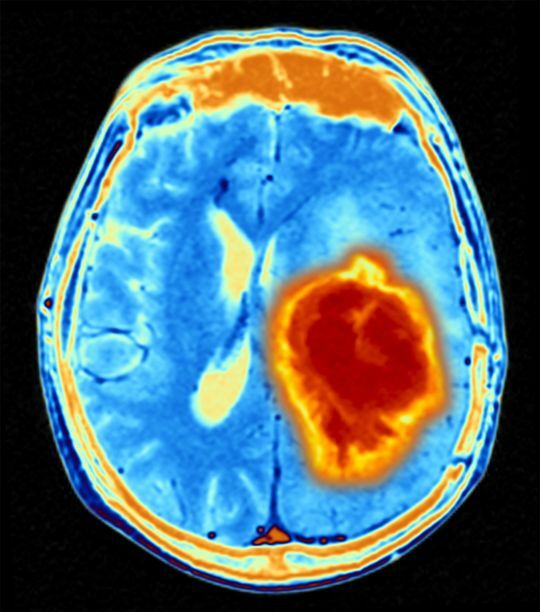 Experts have described the rise in an often-deadly brain tumour known as Glioblastoma Multiforme (GBM) as ‘alarming’. Researchers at the Physicians’ Health Initiative for Radiation and Environment (PHIRE) said the figure ‘raises the suspicion that mobile and cordless phone use may be promoting gliomas.’ The conclusion is likely to be controversial, with other experts having previously suggested that large-scale studies showed no link between mobile phone use and cancer. Professor Denis Henshaw of cancer UK, which worked with PHIRE said, ‘Our findings illustrate the need to look more carefully at, and to try and explain the mechanisms behind, these cancer trends, instead of brushing the causal factors under the carpet and focusing only on cures.’ In 2016, the California Department of Public Health (CDPH) said people should take steps to limit their exposure to mobile phone radiation. The CDPH also warned that people shouldn’t sleep next to their phones. Previous research by the CDPH found that people with certain kinds of brain tumour were more likely to have been phone users for 10 years or more – and that the tumours were often on the side of the head they used their phones. Glioma – starts in the brain or spine. arises from glial cells, most common site of gliomas is the brain. Hear our voices. We are the victims of cell phone use. As a Feldenkrais Practitioner, my work is based on applications of neurscience, neurophysiology, so learning about the disruption of normal electrical states of the body’s cells–especially the brain’s–was not difficult. However, to realize this really evil malign joke has been played upon us–that we will have whole generations of young people wiped out in agony –is beyond my capacity to tolerate. So I fight cell towers, I fight DAS, and as real as any war, we must stand and fight now for our very lives.